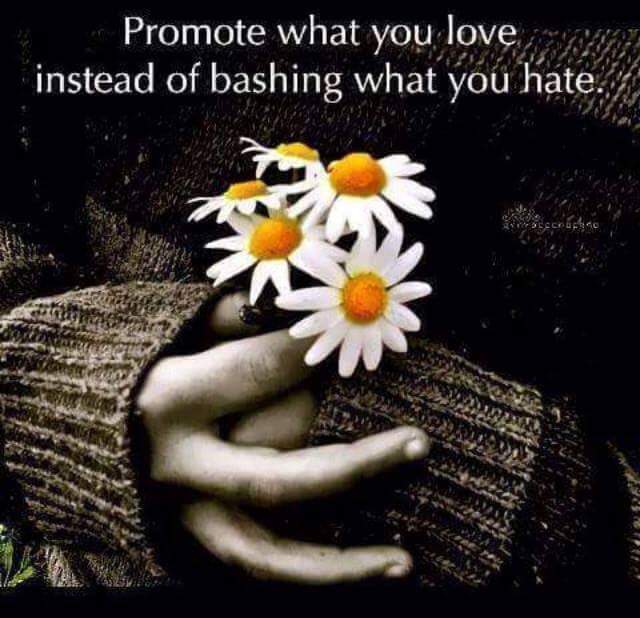 Recently, I found this picture above that said: “Promote what You Love rather than bashing what You hate,” and I absolutely agree with this wisdom. There are times where we as humans can become triggered and reactive to the misaligned behavior occurring around us. There is the easy, quick, egoic choice, or there is the conscious, wise and empowering choice. With one choice we lash out and use great amounts of Source Energy fighting, bashing, hating, arguing, justifying…Get the point? The other choice efficiently uses Source Energy to empower, expand, and ignite a Feeling of Love, Awareness, Peace & Ease, within and without. All beings positively benefit from this conscious choice. 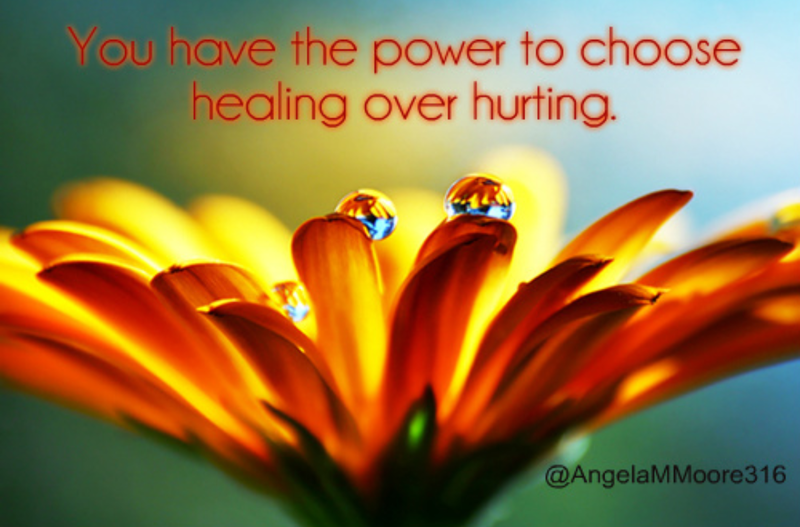 Now, when we realize we all have these two choices, we become conscious. Simply by bringing awareness of a choice we become more empowered to make the aligned choice that will support us and others on Every level of our physical reality. For example, when a human chooses hate, anger, or fear and they bash, argue, and project their anger upon anyone who may come into their field of creation, not only will the unsuspecting human on the receiving end of this psychic attack FEEL the dis-ease, dis-harmony and activation of increased fear and anger, but the sender or creator of this fearful rant, bash, and energetic attack will also instantly and powerfully ignite great inner dis-ease and dis-harmony within the very cells of their body. 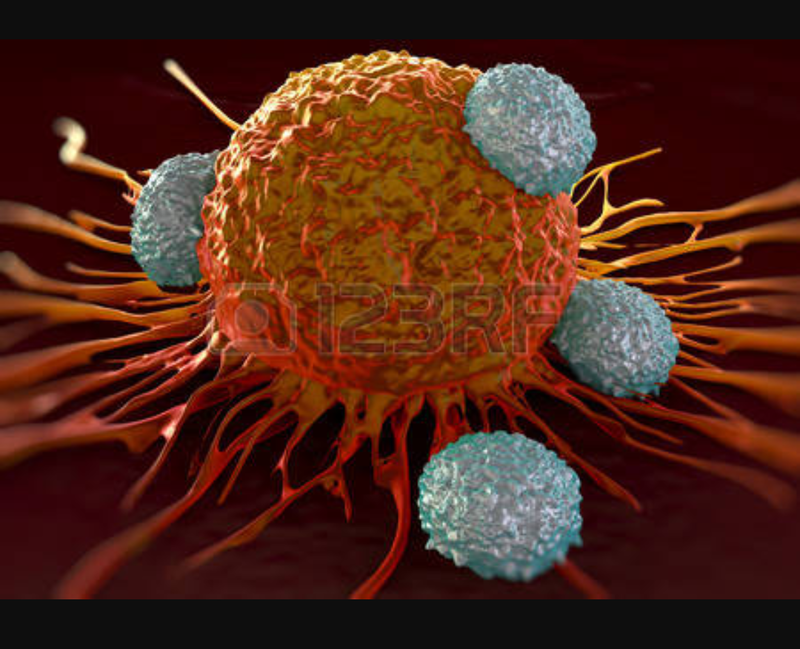 Their immune system will be negetivaly effected and their minds will FEEL the immense heaviness and disruption; rather than the other option, which is a mind of Peace, Ease and Clarity. At a soul level, they will create great dis-ease and a feeling of separation with their very soul. Not Awesome! Big picture, Dis-ease will take over their body, mind and soul, and Every aspect of this human’s creation will then be tainted with this heaviness, this misalignment, this distortion and dis-harmony. Every relationship they co-create with will be tainted or slimed by this heaviness. Until…This human has suffered and caused enough suffering. Until…This human chooses to be conscious of their creations. All of their creations, their very choosen thoughts, their chosen expressed words, and All of their chosen actions will cause themselves and others pain and suffering. Take a drug addict for example. Their very addiction can only occur through their unconsciousness, for a human who is conscious and aware would Never put harsh chemicals and toxins into their own body, choosing to go numb aka “unconscious.” Their very pain is so Intense that the pain within them rules their choices. 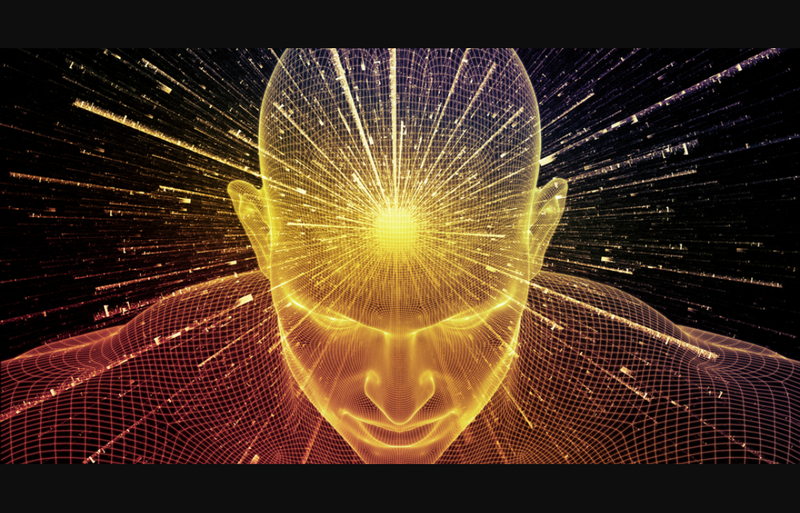 The dis-ease and egoic mind controls this human, as opposed to a Heathy and aware human who uses the power of their conscious mind as a tool. This unconscious human has no Love for their own body, mind or spirit. They have fallen into unconsciousness and now their choices and actions create pain and suffering for themselves and others. 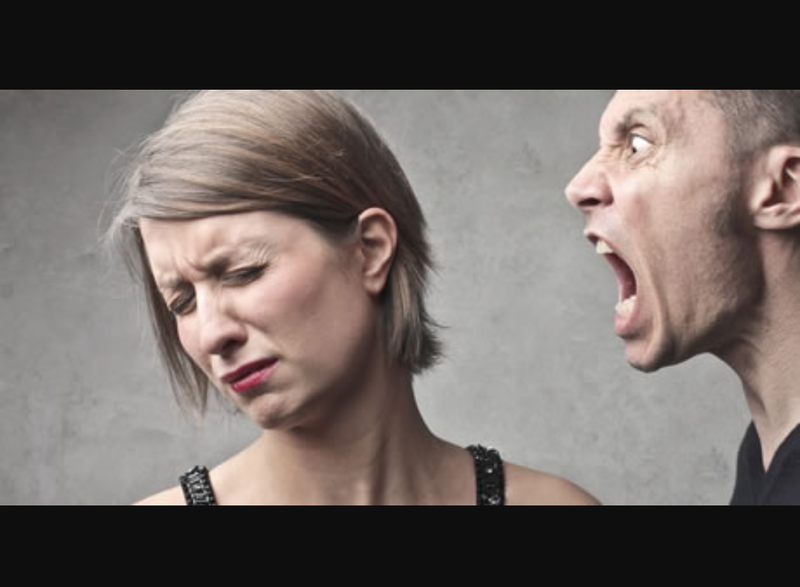 The drug addict doesn’t care if their violence harms their parents or their partner, all they are focused upon is their own selfish, unconscious, egoic needs. A human in this state can be incredibly unpredictable and dangerous to themselves, as well as those whom they encounter. Humans that Love these hurting humans will benefit greatly by staying in a space of consciousness for their own health and protection, and by making empowered conscious choices that offer themselves Love, Honor and Support. We are All in a continuous state of creation. All of us! However, there are some humans who are becoming conscious, and therefore they are choosing to create consciously. This is incredibly important to our very survival and happiness. Other humans are still creating unconsciously, and this has Huge costs and consequences to All life, including those creating from unconsciousness. Our goal as a species is to awaken! To become conscious, and to create from this space of consciousness in every moment forward from our awakening. 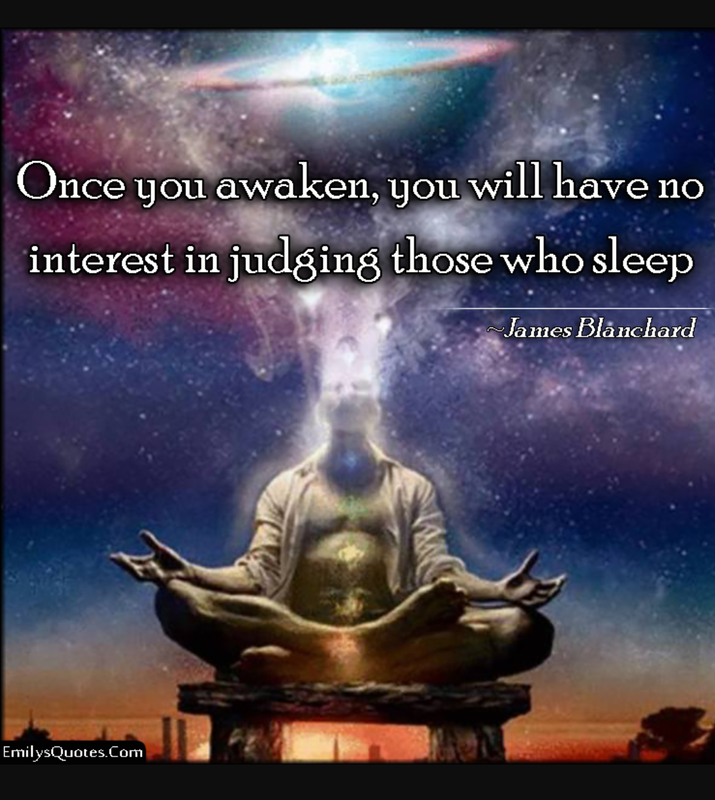 Part of staying conscious in our creations upon awakening is to stay awake and aware as others are moving through their own awakening, to be a witness to what is occurring within ourselves, as well as observers of what is occurring within others around us. By staying present. By staying conscious. By mirroring to everyone who is graced and blessed to connect with you, by mirroring awareness, Love, compassion, honesty, and by speaking from a space of truth, alignment and consciousness. Even when (and this is very important)…Even when they remain unconscious. Even when they withhold honor, Love, respect or pay. Your choosing consciousness does not mean you have to stay in their misaligned world of selfishness and unconsciousness. Not at all! You Always, I repeat, ALWAYS have the freedom and power to choose Your consciously guided directions and actions. Honoring another’s journey does Not mean you Ever affirm that you are stuck, or a victim to their choice of unconsciousness. I hope that is coming across crystal clear. So many of my coaching/healing clients and students have brought this up many times, and spirit really wants to make this crystal clear. You are Not Victims to another’s unconsciousness. Never allow your own loss of consciousness, aka egoic mind, to tell you that another is more powerful than your own consciousness. Because it is a total illusion. You Always hold the power to choose! Many Humans have believed for a time that they were victims of another’s unconscious choices. Trust me, I definitely used to hang out in this unconscious space, and it was Not fun! Like I shared earlier, we all will choose consciousness when we have suffered enough. That’s how it happened for me. So if you are currently in a space of deep suffering, honor that suffering Now. Own it, FEEL it, SEE it, and bring consciousness to it. Allow this moment of suffering to do its work within you, allow it to awaken you Right Here, Right Now! Because it is only here for this exact purpose. You can use this moment as a catalyst for your own empowered awakening into the New life that awaits You… Welcome home, to the space of conscious creation! We’ve missed You so. Take a few deep breaths, and simply set your intention to Be aware and conscious Right Here, Right Now. Start by bringing consciousness to your breath, to your inner body. FEEL your life force, the aliveness that is You moving through your physical body. Bring your Awareness to the thoughts moving through your mind, just observe them without attachment or judgment. Now, consciously move your Awareness back to your breath. BE One with your breath, if your mind wanders off into unconscious thought, guide it back to this breath. Repeat this practice throughout your day. Often. Don’t worry about measuring your progress, just keep it simple. Allow awareness and observation to BE your practice. This is the rising of consciousness. Allow yourself to stay open and receptive to the Infinite power and intelligence of this Universe. Allow yourself to trust that as you choose to create consciously, You and All life will benefit. Take your focus away from judgment of yourself and others. Take your focus away from what “Others” are doing or choosing. Observe them, yet release the need to change Anything “out there.” Your practice is “within.” Allow yourself to stay present, conscious and aware of what’s going on within yourself. Enjoy this rising of consciousness, and observe the miraculous shifts that occur from this shift in Vibrational Alignment and Ease. I am so sorry that the loving words I shared annoyed you. I have a healing business here in the neighborhood and I was simply inviting women that had asked me to share more information. Please feel free to Not read my posts as that is your choice. Have a blessed day.